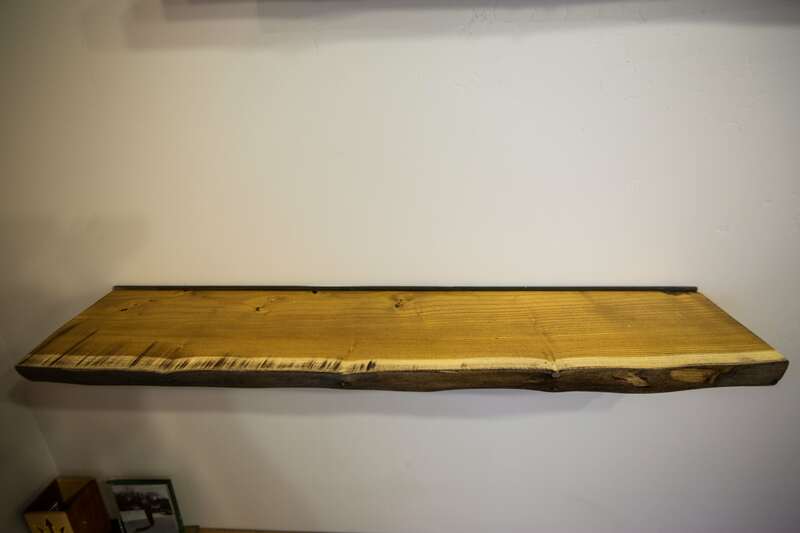 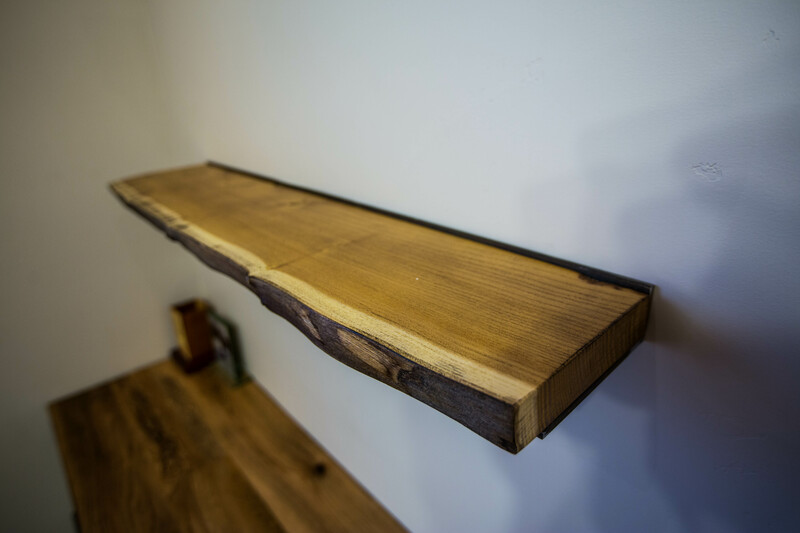 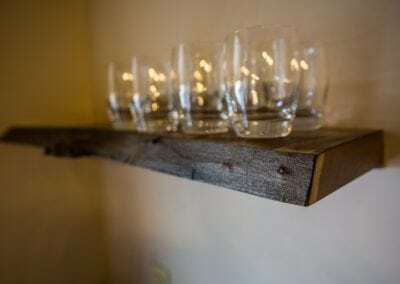 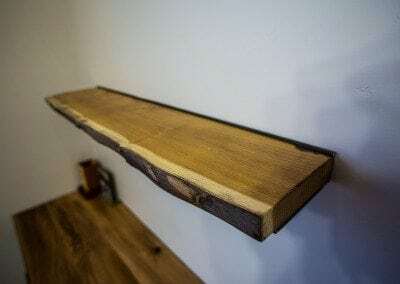 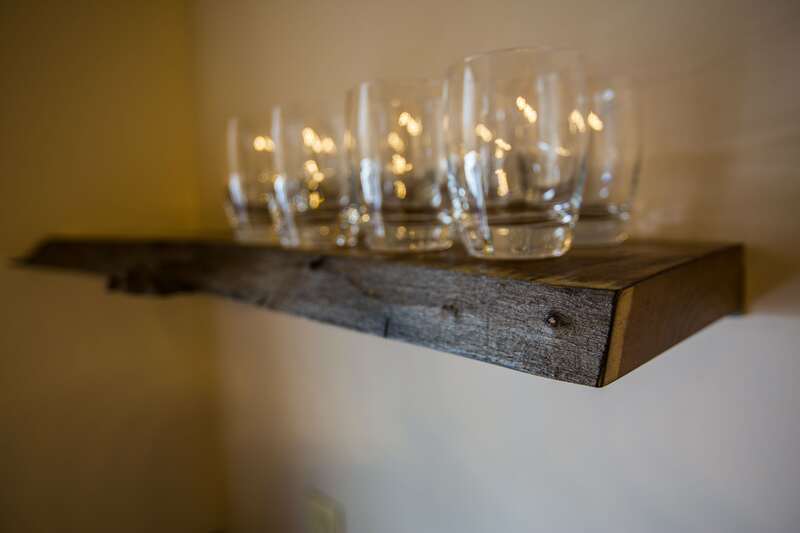 It doesn’t get much simpler than a metal bracket and a shelf, but if you want to take it to the next level, you can do live edge shelves. 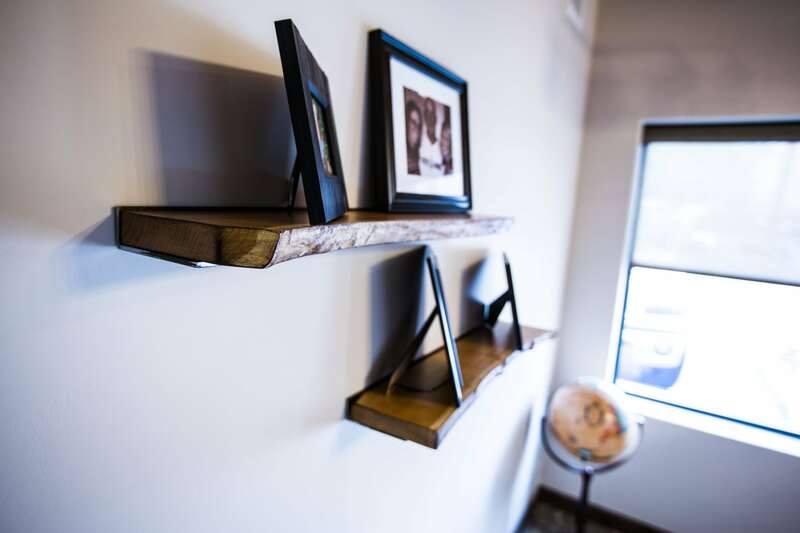 For the Spencer Companies project we used Mulberry slabs from Phoenix. We made very simple steel flat bar brackets that made installation a breeze. 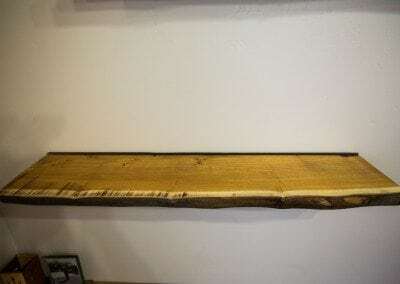 They are finished in a clear flat lacquer with dirty brush.